Back in August of 2017, I was hit with the news that nobody ever wants to hear. I had been sick over the summer with various symptoms that could all be explained away as various things. The one thing, however, that we couldn’t figure out was a lump on the side of my neck. After a bunch of tests, biopsies, and meetings with doctors, I was diagnosed with stage 4 Hodgkin’s Lymphoma. I was looking at 6 months of chemo, which I’m more than halfway done with now. I’ve been blessed to have amazing people in my life that have been a great support so far and will continue to be for my remaining two months. 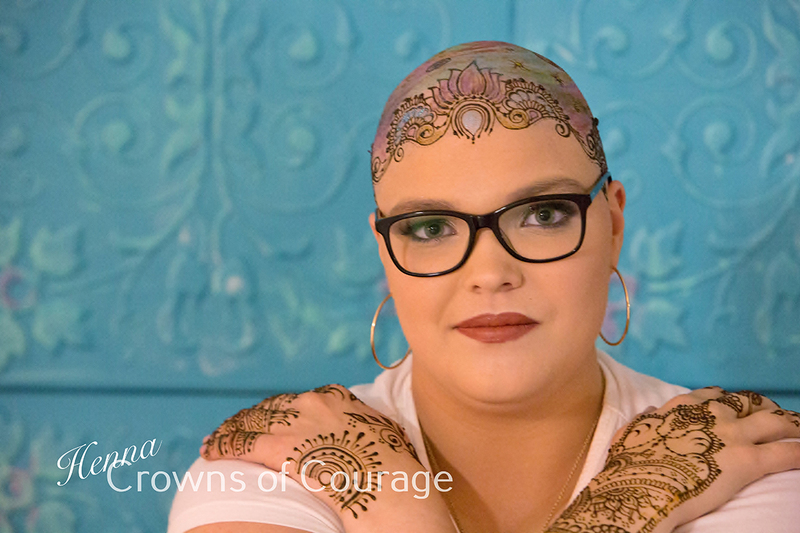 It was awesome to meet Amanda and Steve through Crowns of Courage and have a session done. It’s hard to feel pretty with scars on the side of my neck and chest from biopsies and my port, so it was nice to have an afternoon of makeup and henna. Through the Grace of God I am already mostly cancer free and have only to get through my last 5 treatments! 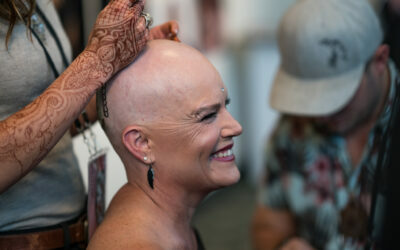 My name is Amy Blunt and I am a one year breast cancer survivor. On February 14, 2017, I received that dreaded phone call. 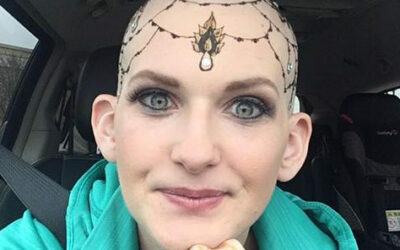 The voice on the other end told me that I had cancer…words a person never wants to hear. My name is Alexandria Yonkman, I am only 23 and the mother to three beautiful children; I am also the girlfriend to an amazing man, that is also the father to our children! For the last year I have been battling cancer.